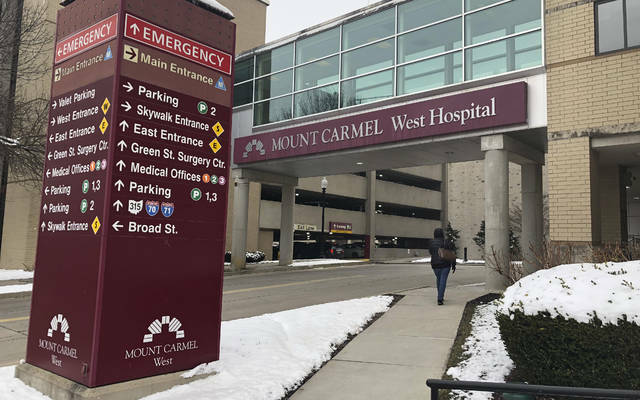 COLUMBUS, Ohio (AP) — An Ohio doctor’s orders for potentially fatal doses of pain medicine given to at least 27 hospital patients were carried out by employees who “made poor decisions” and ignored existing safeguards, a top administrator told staff in an internal video. Mount Carmel has notified affected families of the deceased patients. (Columbus – Jan. 24, 2019) The Mid-Ohio Regional Planning Commission (MORPC) has promoted Joseph Garrity to serve as its director of government affairs. The director of government affairs serves as the agency’s chief government affairs officer and leads the agency’s public policy and advocacy efforts.This lead position also provides support throughout the agency and to local governments on related initiatives, public policy and collaborative efforts. Garrity has worked at MORPC for four years, in varying capacities, most recently as senior government affairs coordinator. Prior to that, Garrity served as a legislative aide in the Ohio General Assembly. He also served as a congressional intern in the U.S. Senate. After more than two years of work and cooperation between Franklin County and its jurisdictions, Franklin County residents can now send text messages to 911 dispatchers – with one very key caveat. Calling is better than texting because emergency dispatchers can get more immediate answers to questions from callers, listen for distress in voices and background information that could assist police in a potentially life-threatening emergency. Call if you can, text if you can’t. Safety agencies throughout Franklin County collaborated to share 911 systems and develop partnerships to improve emergency service delivery for all Franklin County residents while simultaneously reducing implementation costs for the agencies. These agencies will be able to receive Text-to-911 texts either directly or via transfer – Franklin County Sheriff’s Office; the cities of Bexley, Columbus, Gahanna, Grove City, New Albany, Reynoldsburg, Westerville, Whitehall and Worthington; the Dublin Northwest Regional Emergency Communications Center (which also serves Upper Arlington and Hilliard); The Ohio State University and the John Glenn Columbus International Airport Police. Text-to-911 works on cell phones, tablets and other devices with the capability of sending texts. Though the initial Text-to-911 roll out will not include the ability for texters to send pictures and videos, partners throughout Franklin County will keep working with individual agencies and expect this to happen at some point in the future. Text-to-911 service is subject to cell signal availability and not every text sent will be received – another reason why those attempting to contact 911 should call when they can and text when they can’t. In the event a text does not go through, the person attempting to use Text-to-911 will receive an automated bounce-back message indicating the text’s failure to be delivered. The Ohio Inspector General issued a report of investigation today after being informed by the Ohio Department of Medicaid (ODM) that Aristotle Mante, ODM Health Services policy specialist, may be working secondary jobs that he failed to report per ODM policy. Investigators conducted a forensic review of Mante’s state-issued computer and discovered 97 downloaded files related to Strayer University and Indiana Wesleyan University and nearly 200 logons to university websites that occurred during his ODM work day. In addition, Mante emailed faculty and students, responded to student questions, reviewed student assignments, posted student grades, and uploaded assignments while at work at ODM. Investigators subpoenaed and evaluated records from both universities and confirmed that Mante was being paid for his work as an adjunct professor. The Office of the Inspector General found reasonable cause to believe that a wrongful act occurred based on violations of ODM policies requiring employees to report secondary employment and for engaging in activities for personal profit during paid work hours using state resources. The report of investigation has been sent to the Columbus City Attorney and Ohio Ethics Commission for consideration. Based on the Emmy-winning PBS Kids show “PEG + CAT,” this totally awesome musical features wild comedy, countless favoritesongs from the show, and Peg’s super coolest pal Ramone. When Peg’s mom asks Peg and Cat to mail some really important letters, they come face to face with a really big dog. To solve it, they’ll need math—bar graphs, size comparison, position words, fair sharing, and a whole lot of counting. They’ll also need to count on each other, and the audience too, for their problem to be solved. CAPA presents PEG + CAT LIVE! at the Davidson Theatre (77 S. High St.) on Saturday, March 2, at 1 pm. Tickets are $36.50 and $51.50 and can be purchased in-person at the CAPA Ticket Center (39 E. State St.), online at www.capa.com,or by phone at (614) 469-0939 or (800) 745-3000. CAPA presents PEG + CAT LIVE! Owner/operator of downtown Columbus’ magnificent historic theatres (Ohio Theatre, Palace Theatre, Southern Theatre) and manager of the Riffe Center Theatre Complex,Lincoln Theatre, Drexel Theatre, Jeanne B. McCoy Community Center for the Arts (New Albany, OH), and the Shubert Theater (New Haven, CT), CAPA is a non-profit, award-winning presenter of national and international performing arts and entertainment. For more information, visit www.capa.com. COLUMBUS — Department of Insurance Director Jillian Froment announced today that Ohio is assuming a leadership role in the National Association of Insurance Commissioners (NAIC), an organization that provides insurance regulation guidance to all 50 states,the District of Columbia and U.S. territories. COLUMBUS — State Rep. Allison Russo (D-Upper Arlington) has been appointed to the Joint Medicaid Oversight Committee, a bicameral, bipartisan body that oversees the various facets of Ohio’s Medicaid program. Russo has spent the last two decades advising leaders and policymakers on issues related to the healthcare financing and care delivery needs of seniors, vulnerable populations, veterans and military families. She earned a Doctor of Public Health in health policy from the George Washington University and a Master of Public Health in epidemiology from the University of Alabama at Birmingham. COLUMBUS, Ohio – The officers of the Ohio Prep Sportswriters Association (OPSWA) have announced the 2019 OPSWA Hall of Fame induction class, which includes Southwest Ohio native Bill Begley and Northwest Ohio’s Pat Magers, who still writes for the Tiffin Advertiser-Tribune. They will join 65 sports writing greats previously enshrined in the OPSWA Hall of Fame during ceremonies on Saturday, March 23 at the OHSAA boys basketball state tournament at the Schottenstein Center.